Yes, you read that right. Take your favorite drink TO-GO! While we love it when you stick around… we get it. Sometimes you wish you could enjoy one of our cocktails at the beach, at home on the couch, or at that party this weekend. But for the love of alcoholic beverages, DO NOT settle for those little cans of “margarita,” mass produced and filled with preservatives, artificial ingredients, cheap booze, and high-fructose corn syrup. What we serve you fresh on a Friday night at The Craft Bar is what’s inside our Cocktail Crowlers. These drinks are are hand-crafted by one of our mixologists using only fresh ingredients & premium spirits, then poured into that beloved 32 oz. can and sealed tight using the Crowler machine. Since they contain fresh squeezed citrus juice (and no preservatives) each Cocktail Crowler has a clearly marked expiration date 14 days from the day it was created. How many drinks are in that monster? Six to eight! The can holds 32 liquid ounces. Once poured over ice, the true amount of liquid in most craft cocktails is 5 ounces, up to 6. So should I just crack it open and drink up? These well-balanced cocktails are best enjoyed on ice. You’ll want to give your Crowler a good shake, then pour over some ice in anything from a solo cup to your finest glassware. Can I get any cocktail I want? At this time, only the Moscow Mule, Kentucky Mule, Gold Rush, and Pepino del Benicio are for sale in a Crowler. This helps us keep a healthy stock for you while still maintaining those freshies at the bar! How much do Cocktail Crowlers cost? 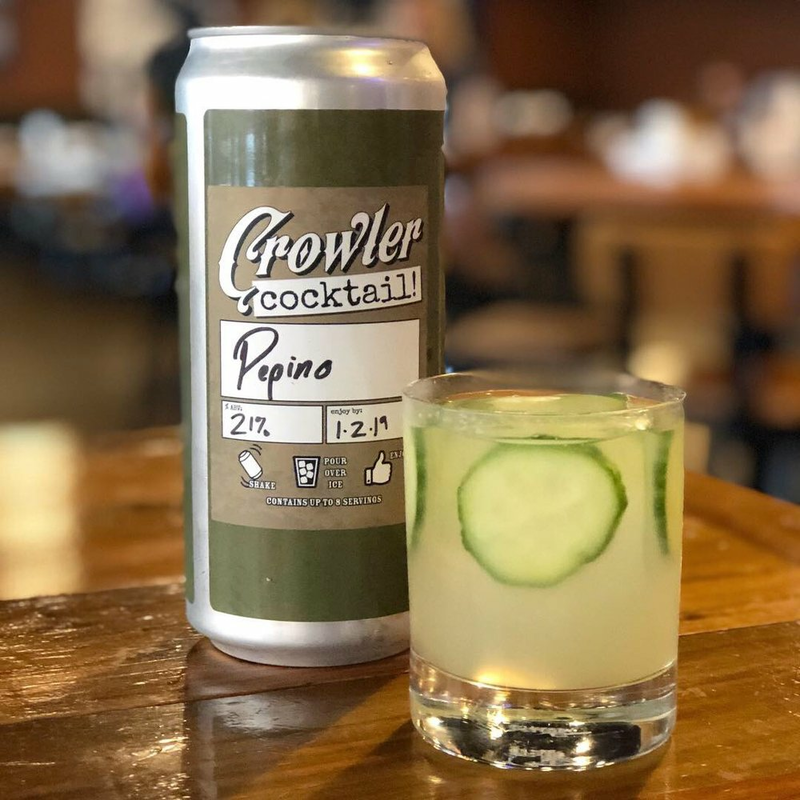 Wine World in Destin is currently the only place to get Crowler Cocktails. This is our parent company and retail store next door to our bar in Destin, across the street from The Commons. Click here for directions! **Even though we are stoked about your option to take drinks “to-go,” we do not condone drinking & driving or driving under the influence, so be safe out there folks! I grew up in a quiet little farming community just outside of Ponce de Leon, Florida called Bridge Creek. It was a place where you waved at every car you passed and neighbors helped each other out if they were in need. My mother and father were incredibly hard workers who somehow managed to raise me, operate a small cattle ranch, and work in the medical field on top of it all. On the farm I cultivated a love of exploration and outdoors, hard work, and appreciation for the land.